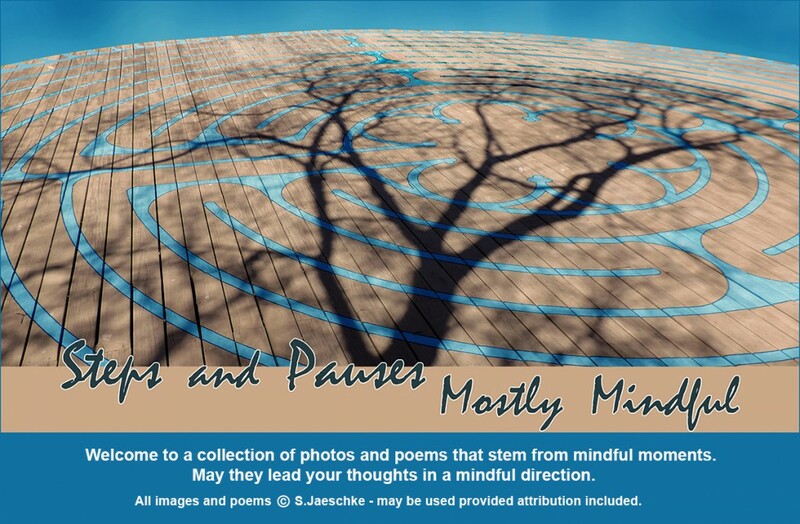 Posted on 2018-12-22 2018-12-22 by Jazz Jaeschke	This entry was posted in Moon's Fullness, Symbols, Weather and tagged Mindfulness, Moon, Photo Collage, Poetry, Trickster, Winter Solstice. Bookmark the permalink. Nice shot of the moon, and yes, it definitely is a highlight of the solstice. Love the images and the poem. We had total cloud cover for the solstice and last night, too, when the moon was completely full. So glad you got to enjoy it and the night brought you relief. Luanne, thank you – that moon would’ve brightened any grumpy mood – and blessing me with a good image in spite of my clumsiness gave an extra boost. A full cloud cover would deliver more of the traditional “long dark night”, emphasis on the dark. Fortunately, I was blessed with celebrating the solstice with friends, a celebration which was full of the light of friendship. Those are amazing pictures of the moon. Your words made me reflect. At home the darkness is related to the cold, so we look forward to longer days, but here, it is different. Ahh, yes – temperature might be a contributing factor in response to less sunlight. Thanks for your response – a new perspective. I don’t seem tuned to circadian rhythms like most … left alone, I go till I drop, sleep till I pop awake. I was first aware of “shorter days” when living in South Florida and driving 45 mins each way to work and back. I’d get bluesy driving home in the dark. Maybe more grumpy than bluesy? Retired, I no longer “practice” the timed cycles of to and from work – freedom! Yahoo! I’m often awake at night, asleep during daylight. That’s true – I can relate to that. We are not defined by the clock so much. Lovely photos. We’ve had mostly rain and clouds, but yesterday and today we finally had sunshine and moonlight. (I saw the moon early this morning.) Happy Holidays! Thank you, Merril. Christmas here rolled in under a blanket of fog … all sthings celestial to be appreciated unseen for a while … storms coming tomorrow … I’ll see the moon again eventually!